Marcus Agius said “the buck stops with me”, in resigning after the interest-rate rigging scandal. But the buck shouldn’t stop with the Barclays chairman. It is appropriate that Agius has fallen on his sword because he hasn’t acted as a strong counterweight to Chief Executive Bob Diamond. But the chief executive was responsible for the culture at the Barclays Capital investment banking arm, where the manipulation took place, as well as other lapses. Diamond has done an extraordinary job expanding BarCap. But it is hard to believe he is the right person to clean it up. In a BBC lecture last year, he said that “the evidence of culture is how people behave when no one is watching”. Not only did several Barclays traders behave badly when he was not watching; he himself was somehow involved in a chain of discussions which led to the bank submitting an artificially low interest rate to disguise an appearance of vulnerability during the credit crisis. The interest-rate rigging scandal isn’t the only black mark against Diamond. He received a hefty bonus for last year despite a performance he himself acknowledged was “unacceptable”. And he presided over a bank that concocted aggressive tax avoidance schemes. Barclays may hope that the blood-letting will stop with Agius. But the scandal has a dynamic which may make this hard. The next flashpoint will be on July 4, when Diamond has been summoned to appear in front of the House of Commons Treasury Select Committee. Given that politicians are competing with each other in anti-banker rhetoric, this will be an uncomfortable experience – even if Diamond can argue that Barclays was not alone in manipulating rates. Beyond that, the spotlight will switch to Barclays’ new chairman. Sensibly, the bank is looking both externally and internally; the main inside candidate is Michael Rake, now promoted to deputy chairman. It needs to find someone who both understands banking and is tough enough to find a replacement for Diamond. Barclays Chairman Marcus Agius quit on July 2, saying that the interest rate rigging scandal had dealt “a devastating blow” to its reputation. “The buck stops with me and I must acknowledge responsibility by standing aside,” he said in a statement. The bank will search for a successor from within the existing board and from outside. Barclays also announced a “root and branch” audit of business practices within the company to be led by an independent third party. This will report to Michael Rake, a non-executive director who has just been appointed deputy chairman. 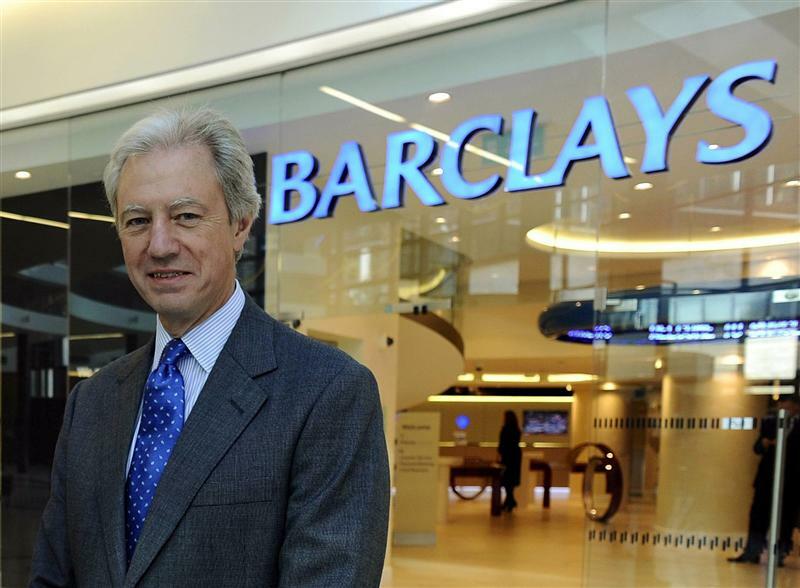 U.S. and British authorities fined Barclays $453 million on June 27 for manipulating the London Interbank Offered Rate (Libor). Chief Executive Officer Bob Diamond will appear before the Treasury Select Committee on July 4 to answer questions about the scandal.